1. Those of you who've been waiting for my posts on chronic illness may have noticed they have not been appearing. Ironically, I have been too sick the past year and a half to write much ... except in my head, which has been planning those blog posts along with three new novels and another project. I'll be having two or three surgeries this spring and should feel much better afterward. So stay tuned for those posts, which people without chronic illness should find interesting as well. 2. Wednesday (25 March), Ines Johnson will be visiting my blog with a post on the recent evolution of the Cinderella story. I rarely go to movies, so I was fascinated by Ines's discussion of how the Cinderella trope in movies has changed. 3. 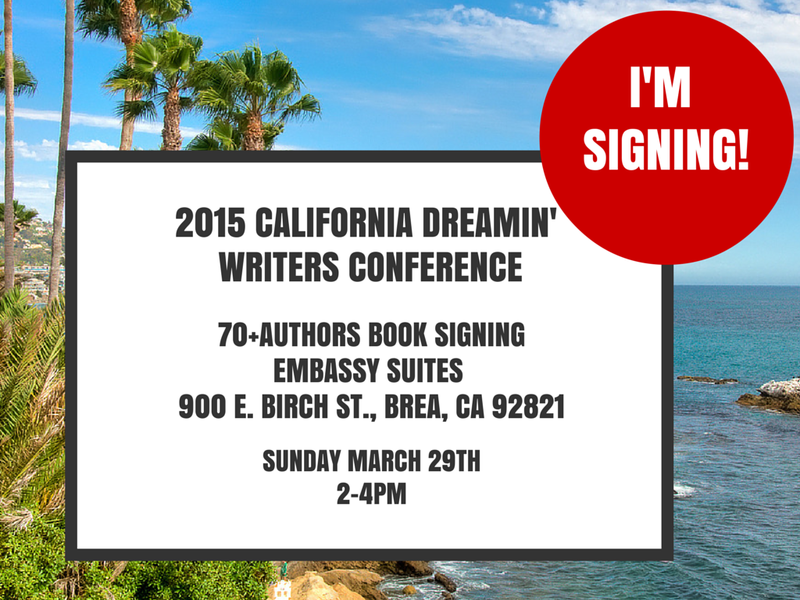 I'll be signing Claimed by the Enemy on Sunday (29 March) in Brea, California, in a book signing with 70 other people. Most authors write romances, but there will also be authors of mysteries, historicals, erotica, and who knows what else. Even if you already have my book, please stop by my table to say "hi" and pick up bookmarks (for Like Mayflies in a Stream, Claimed by the Enemy, and my August 2015 release, Ice Magic, Fire Magic) and a Ghirardelli chocolate square.